We are continuing Earth Week with an interesting algae 3D print filament, even though Earth Day is tomorrow. I am still freaked out by the idea that I remember the first Earth Day. That makes me feel really old. Don’t date us. What are you doing? Come on. It still freaks me out. 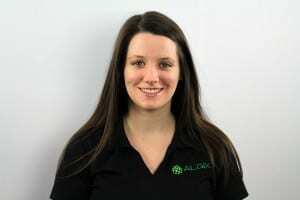 We are going to interview Barbara Zeller from Algix 3D today. She is the marketing and communications manager of a company that is making algae-based filament in Mississippi. We met her and her husband who is also part of the company, Ashton Zeller. He is the Director of R&D. Cool to meet another husband and wife team in the 3D printing industry. Zellers and Hazzards at CES 2016 – the husband and wife teams of 3D printing! They are very interesting, and they had the coolest booth at CES. Their trade show booth was one of the most unique and distinct. It was very well done. When most people have their curtain and they stick some filament on the wall, this was a real trade show booth. I would have hated to put it together, but it looks great. To be honest with you, I still would have stopped because the filament colors for the algae-based filament are very cool and one of my favorite things. The color palette is very neat and very natural-looking. What most people don’t understand is that in order to get plastics white, it’s not natural for it to be white, so you have a lot of additives. This starts at a more natural color to begin with, and that is why it gives it that normal earth tone. It’s really impressive. I’m very interested for our audience to hear this interview because there is a lot more to this company than algae 3D print filament. They are not just another distributor. They really have the goods behind what they are doing and producing what is a more sustainably manufactured and even degradable product. It’s very impressive. 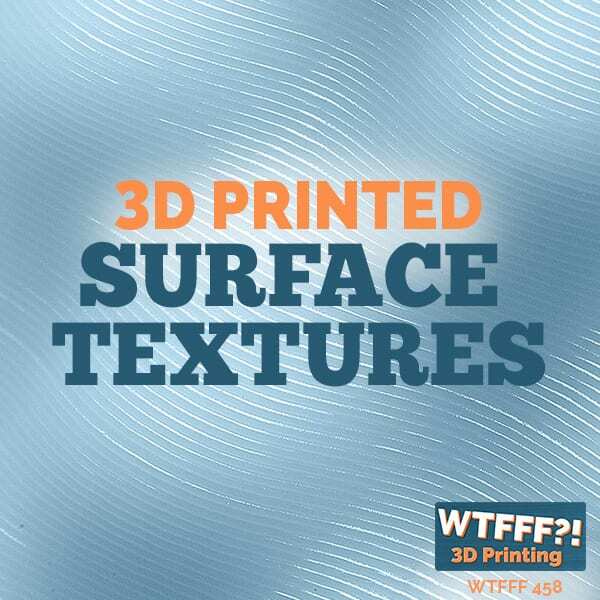 Barbara, thanks so much for joining us on WTFFF to talk about your algae 3D print filament. It’s great to talk to you again, especially after we first met a while ago at CES. Thank you so much for having us. We are really excited. How did you guys come up with the idea for your filament? Algix 3D is actually a part of a larger parent company called Algix, which is looking into algae-related technologies for biofuels. It was discovered that creating algo-biofuels is very difficult and expensive. Even when the biofuels are accomplished and created, all the protein content in the algae is left behind. Again, through a series of events, it was discovered that algae can make a good plastic-like compound. For thousands of years, the original plastics were made out of plant proteins, and then when petroleum became very inexpensive, the world and the plastics industries transitioned to petroleum-based plastics, which is more what we are used to today. There is a movement in the past several years to go back to those plant-based plastics that are safer for users and better for the environment. What makes it safer for users? Especially in 3D printing, there has been a lot of press coming out recently about ABS specifically. When it’s heated and extruded through the nozzle, it releases molecules that are harmful and carcinogenic. Using plant-based proteins for plastics and specifically our different filament lines that we have available are all not releasing those toxic compounds, or very low amounts of those volatiles. We do testing in-house. We have some pretty fancy equipment, one piece in particular called a GCMS machine that we can actually measure and quantify what is being released with our filaments when the user prints with them. That is fascinating. I am glad you do that testing yourself. That is pretty rare for a filament distributor/manufacturer to do their own testing. A lot of them send it out to a lab when they have to. But even still, most of them don’t care, whether you are doing filament or something else, ABS emits the same rate as PLA. It doesn’t matter what format it is in. It still emits it at about the same rate, so they have a standard on it that they expect. But yours is very new and different. The fact that you track it and that it is extremely important to you is very interesting. We are a part of a larger plastics company. 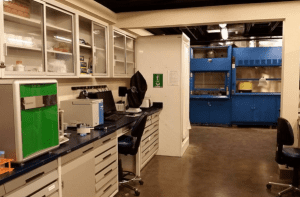 That affords us the opportunity to take our R&D and quality control and materials testing a step further than most filament manufacturers because we already have all this lab equipment. When we started the 3D business about a year ago, it put us in a good position to bring great products to consumers. That’s a good point. I think that it’s interesting that there is a drive to move to this plant-based product. It is an interesting shift because most plastics companies make what they think everyone will want. How did that happen at your company? Fil A. Ment, Algix 3D’s Chameleon mascot printed in ALGA, algae blended PLA. We started out about a year ago in the 3D space. We already had all the plastics infrastructure here and the R&D facilities. We started out with our Alga filament, which is an algae-filled, PLA filament. We were able to bring that product to the market very quickly because we already had the infrastructure for processing our other algae resins through our parent company, Algix. From the Alga line, we branched out, and we currently have two other product lines on the market, and others that we will be launching in the next several months. We have our advanced PLA line, which has a special characteristics, and we have our product we have most recently launched, called Dura, which is an environmentally sustainable, compostable replacement for ABS. The Dura has no toxic fumes and better material properties than ABS, so we are getting great response from that product launch. I am finding that material to be very interesting. It seems to be more flexible; it’s not a flexible material, per se, but its quality is softer. It bends a little bit more. The thing is, we have avoided ABS because our printers are in our home office environment, so PLA is all we have done. Now we have learned about some other ABS alternatives that are compostable and biodegradable, but the fumes were still there. This is a step up in terms of a product that addresses the issues of the air quality in your printing environment as well. We are really excited bout the Dura product. We are reaching out to the general 3D printing industry, but we are focusing and targeting on schools because we want children in grade school or even students at university who are learning bout 3D printing technology to be printing with materials that are safe for them and better for the environment. That’s a huge market. 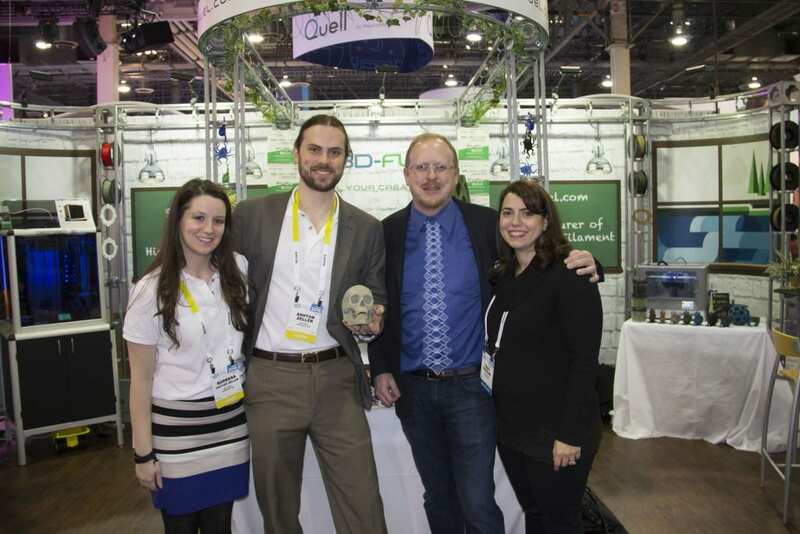 Just about every 3D print manufacturer that we talked to at CES was saying they were going after the education market. That is one of their biggest focuses, as it should be. It makes sense. I am sure they were only looking at PLA until now. Let’s do a deeper dive into your company’s definition of environmental sustainability. That is different from company to company. What do you guys consider to be a sustainable product? Ever since we started in the algae plastics business at Algix, we have been very focused and attuned to not being green-washers. If we are in the sustainability space, there can be some negative feelings surrounding companies who just slap the word “sustainable” on something and don’t really have that through every part of their business. At Algix and Algix 3D, we work hard to make sure that everything we do is truly as environmentally sustainable as possible. Inside the Algix 3D print lab. I have spoken about the different product lines; the materials we put into those product lines are obviously one of the biggest factors. The reason we are using algae in the first place is that compared to other bioplastics, which are a step in the right direction, algae is an even better solution because to make those other bioplastics, including PLA, you have to use arable crop land. Algae is actually a problem across the planet. Algoblooms can be a huge problem for fish farmers and water treatment facilities in lakes and ponds, and we are helping to remediate nuisance algae and use that to make more sustainable plastics, which helps offset the petroleum use that would have been used in conventional plastics or some of the arable crop land use that would be used to make other types of bioplastics today. That is so cool. I knew algae was a sustainable material in this process, but I didn’t understand it was a problem. I think it’s interesting you guys are remediating a problem like that. Algae is the world’s fastest growing plant. We are using micro-algae, and it reproduces so quickly. It is truly a renewable resource. As population density increases, algae blooms will become more and more prevalent. I think we are growing one in our fish tank downstairs. Our daughters insisted on it, and I don’t think it looks healthy in there. We have to do something about that. Of your sustainable criteria that you have, you obviously are using a great source material. But how are you processing it in a sustainable way? At Algix, we focus on live cycle analysis, which means that we get a third party that does this as their entire business to perform live cycle analysis. They evaluate us from cradle to gate, all of our processes, including energy use of our facility, shipping of algae, shipping of product. We try to look at the whole system and focus on the different ways we can improve in certain areas. Our production facility is located in Mississippi in the southeastern side of the United States. It’s a great location for us because of the proximity to most of the aqua culture in the US for catfish farming. We ended up picking Meridian for a variety of different reasons. But there is really only one way to get power here. We are looking into solar power and other options that we can take our destiny into our own hands and are always looking to improve and be more environmentally sustainable. That sounds like that is a big mission with your company. Is it a privately held company, or is this a public company with that mission? Algix is not a public company. We have private investors, and we have a board of directors. At this time, we are still a privately held company. It is very important to our leadership that founded this company and to everyone who has been hired throughout the past couple years. I want to get back to some of the material details. The environmental thing is wonderful, and this is Earth Week. It’s a great story with a lot of integrity behind it. There is a lot of green-washing going on, and you guys walk the walk. So the Dura is a great ABS alternative. Certainly it is #1 on my list because of our home office environment. The qualities of it are good. I also really like the algae material. I understand the algae-based material has an earthy quality to the colors and the texture. To me, that is an interesting difference from so many of the filaments that are on the market today. The color has a muted gray tone underneath it. From my personal opinion, it’s different. Are you finding any backlash because it’s not typical? No, not at all. If someone wants a really bright color in a more environmentally sustainable filament, they can go with our APLA or Dura lines. With the Alga line, we have gotten such great response because of what you have said, how it has a more natural color palette, muted tones, a nice finished texture. 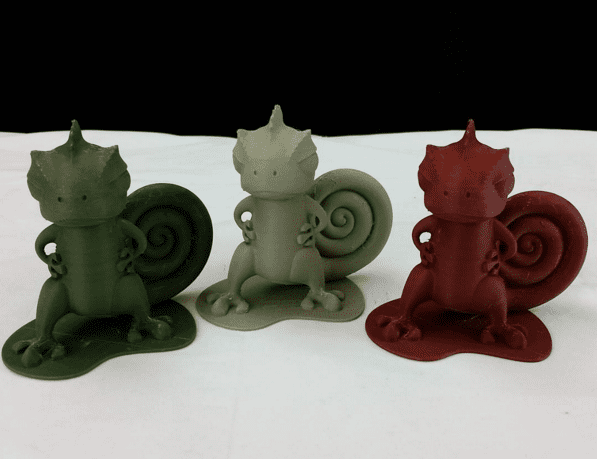 For a lot of people, when they are 3D printing something, they might be happy with their end design and print because it has that bright, shiny, plastic aesthetic, which is fine, but sometimes if someone wants something to look more like something you would actually purchase to go in your home or office, the Alga product is a good solution for them due to the nice finish. I find that the parts coming off the machine take you away from the typical look of a 3D printed part. 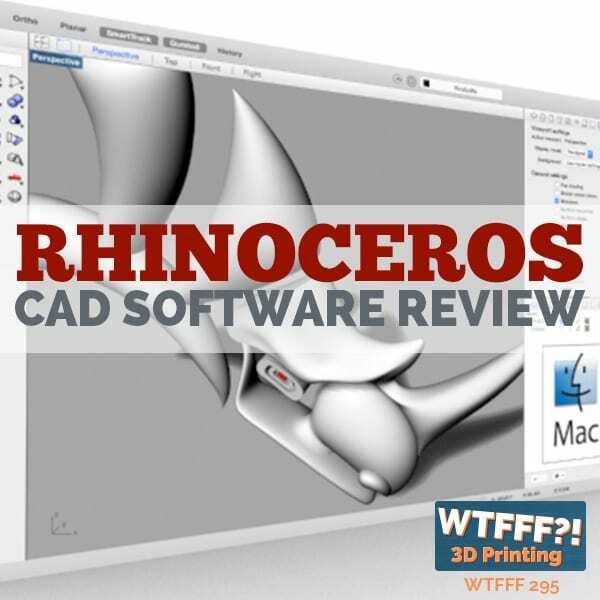 It takes you away from, “Oh, yeah, that was 3D printed.” Makes you wonder, which we love. I am interested to know more about the Advanced PLA. You mentioned there are some unique properties. What makes your PLA different, both environmentally and is properties? For the Advanced PLA line that we offer, that was one of our first product offerings. It is PLA, and it is a plant-based plastic. We are using some special formulation to where it can be post-annealed, which some are familiar with and some aren’t. 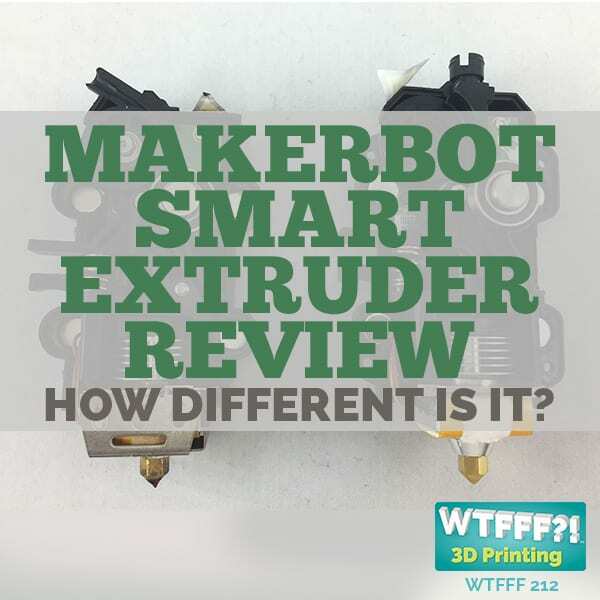 It means that once you have your finished part, heating it low and slow, almost baking it, changes the bonds in the plastic and makes for a much stronger part than you would have with just regular PLA. How does somebody go about doing that? Does it have to be done professionally, or can someone do that themselves? We do that here in our lab in a lab oven, and you could do it in a home oven. I’m always of the opinion that you should get a small toaster oven, not to do it in your home oven just because. Barbara, we were curious about your spool line. The spool for the Alga line is the full spool, and it appears to be a typical plastic spool. Was there any consideration given to the material that it’s made of? Is it made of something special? With our rebrand we have done recently for Algix 3D, we have transitioned from one-kg spools to 375-gram spools. We have actually trademarked our spool. We have a bright green spool that makes it easy to distinguish an Algix 3D product. The thought process behind going from the one-kg to the 375-gram is that because through all of our market research, we came to realize that people were more interested in getting several different product options or colors instead of just a large quantity of one product. We switched to these smaller spools, and we are also packaging those in master packs or bundle packs, where you can purchase ten 100-gram coils or six of these 375-gram spools in one package. The material that our spools are made of is currently a standard plastic. We are using a spool reclamation program to where if someone is purchasing a good bit of our product, they can send those spools back to us for reuse and potentially get a discount in the future. We have talked about making some spools out of our algae plastic, but we haven’t gotten there yet. There is always room for improvement. Do you guys have a recycle symbol on the spool? Our spool currently does not have a recycle symbol on it. We recycled a bunch of spools, so we know it’s recyclable plastic. But the reality is that without a symbol on it, we don’t know if our local recycler will actually do anything with it. That is a concern. We haven’t found a single spool manufacturer that has a recycle symbol. That is very unusual, and I don’t see why that is happening. Almost everything of plastic has a marking somewhere. That is a very good point. We have discussed how we feel about these plastic spools in general. We are purchasing spools from a pre-made dye. We didn’t get a custom dye. We found one that is already available in the market, just with our Algix 3D bright green color. Let’s touch base on how people should store your filaments. Does it need to be in a low moisture environment? Do they need to be kept in a vacuum-sealed pack? What do they need to do to store your product to get it to last the longest? This is actually something we will be announcing pretty soon. Because of all of our facilities that we have at our disposal, we have been doing some interesting testing recently on moisture uptake of a variety of different kinds of filaments, including our own. We have been quantifying that. It doesn’t really make that much of a difference. We have done our market research. We know there are a lot of industry standards, but we are finding that it doesn’t make a difference. We will be excited to bring those findings to the market soon. We say that in general it is good to store filaments in a temperature-controlled, moisture-controlled environment, but we are not really finding that doing anything extra special makes a difference. That’s the way we have been for a while. We keep getting pushback rom listeners who think otherwise. The only thing we can point out is that they are from a more moist place than we live, but we haven’t found that in pretty much any of the filaments we have used either. We have found an aging issue in that some filaments would get more brittle. Other than that, we have not found moisture to be a factor. That is a very unscientific observation, though. We are doing some scientific studies. We are in Meridian, Mississippi, and it is pretty humid here. Our labs are climate-controlled, but our production floor is not. We are not seeing any big changes depending on how it is stored. 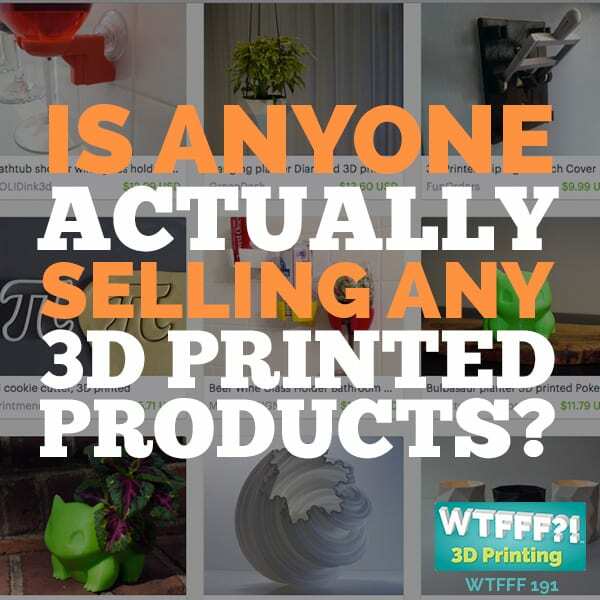 Barbara, where can 3D print folks out there who would like to get some of your material get it? Is it distributed at retail, or do they have to go online? We are currently working with quite a few brick-and-mortar and online retailers. More information will be coming out about that soon. The best place to start is to go to our website algix3d.com. We also will be setting up some distribution through Amazon that is currently in the works. Thank you so much for coming on today. Thank you so much for asking us. 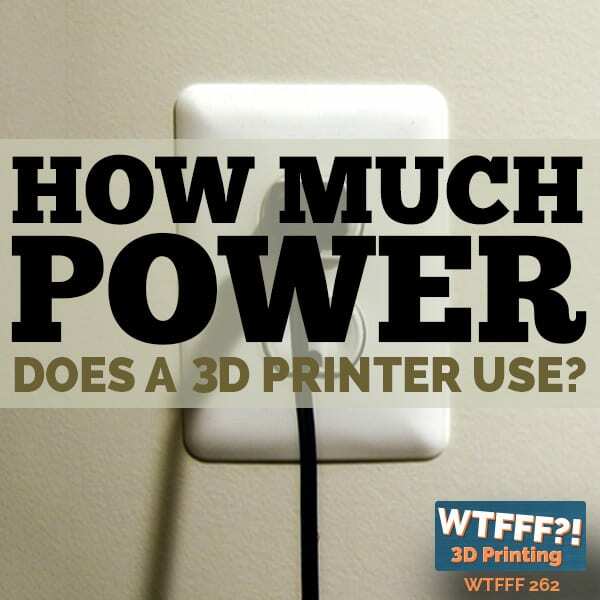 Earth Week is the perfect opportunity for us to communicate with the 3D printing industry. There are so many things to talk about with that interview. One thing I think is really smart that Barbara mentioned is how they are going with a smaller spool size. You can get a variety pack of different colors in these smaller spool sizes. I think it makes a lot of sense. A lot of people, especially in the education environment, which is ideal for their ABS alternative product with no toxic fumes, probably don’t have a lot of room to store a ton of spools, and they probably won’t go through one-kilogram spools very fast. So why not have them buy more colors in smaller quantities? We have some colors that sit here that we don’t use very often that take up a tremendous amount of room. I’d rather have more colors than bigger spools. There are certain colors you always want. You are going to always want white. But beyond that, I agree about the smaller spool. What I really like, and it came through in every topic, is that they don’t do anything without research to back it up. They researched it to make sure that smaller spools made more sense and that their customers wanted that. And they are doing their research and homework on everything regarding the toxicity of the fumes, or lack of toxicity in their case. The moisture. Everything is a research project for them, and that is something I value highly. That says this company is in it, they are very serious about it, they are committed to it to the long term. I applaud the mission of the founders and the board of directors. I think that when you don’t just say that but build it through every part of your company, I recall working with a couple of fabric manufacturers very early on in my career. They all wanted to go sustainable. It seemed daunting and overwhelming. Every step they take, they will start converting their spools. It takes time and volume and business to build that, but to have a long-term plan and say that every year we will make a 10% improvement, that is a valuable commitment to change. It is really impressive. I hope that they are rewarded for it. Hope is not a plan. I can’t plan for them. I hope they actually get good enough sales that justifies the research, development, and effort put into it, but then allows them to make a spool that is either made of their same material or that can be recycled easily. Something like that. I think that a company with a good mission and a good product should be rewarded. There isn’t a reason for them not to be. You get some products that claim to be environmentally-friendly, and then they smell bad in your environment. Even if they are not off-gassing something as toxic, it still doesn’t bode well. Everything about their product is what they said it was going to be, or better. That to me is a valuable product. You guys should check them out. Algix3d.com. Take a look at their color palette. They have coils, so you can get smaller quantities. Try it out. We really are looking forward to using more of it. We are pleased with the color palette, especially the algae stuff. The Dura has a limited color palette right now, but they will add to that as it goes. When you launch a new product, you can only put out so many colors. We have to be patient with things. As anxious as I am to have great colors, I at least am happy that someone put an effort in not to do the same old thing over time. You understand that people have to crawl before they walk and walk before they run. That is the way companies work, too.